Cherry Lodge Cancer Care greatly values the huge amount of work done by our many volunteers. Without them, it would be impossible to offer our wide range of services. Our volunteers come from all sorts of backgrounds and bring with them a wide range of skills. We hope that you will be interested by our list of volunteer roles, and that you will be able to find a vacancy to suit you. If you are interested in any of our volunteering vacancies, please contact Yvonne Shield on 020 8441 7000 or email yvonne@cherrylodgecancercare.org.uk. If you are an organised person with computer skills then you might be able to help us. We also use volunteers to assist with general office duties such as photocopying. Befrienders from our Home Visiting Service provide regular weekly befriending support to people living with cancer in their own homes. For this role, we need people who are are non-judgemental and who can understand the profound difficulties an ill person can face.The time given can vary but is usually an hour or so per week. Befrienders provide emotional and practical help to people living with cancer, and give respite to their carers. Support can include collecting prescriptions, accompanying someone on a hospital or GP visit, emergency shopping, and offering a listening ear when family and close friends may find this difficult. Are you a registered complementary therapist who could help with any of the following: Aromatherapy Massage, Reflexology, Reiki Healing or Spiritual Healing? We offer short sessions of complementary therapies to our members at our Drop-ins. These are held every Tuesday from 10:00 to 13:00, and each first and third Thursday of the month from 18:00 to 21:00. Full sessions are provided by appointment at other times in the week. We are looking for fully qualified counsellors able to give emotional support to people living with cancer. We need drivers and driver’s helpers to run the Cherry Lodge van, taking items to and from fundraising venues, and moving goods between our shop and storage facility. Drivers need to have a full, clean car driving licence, and be aged over 25. Drivers and their helpers (two per shift) will often be expected to lift heavy items (for which, training will be given). Drop-In Helpers are needed to ensure the smooth running of our Drop-In Sessions, which are held every Tuesday from 10.00 to 13.00 and each first and third Thursday of the month from 18.00 to 21.00. Drop-Ins are a hive of activity, when Members can drop in for a chat, for short sessions of complementary therapies or to talk to the nurse. It’s not just about shaking a tin or running a craft stall. 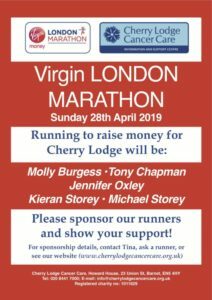 You can also help with Cherry Lodge’s fundraising activities in other ways. We are looking for enthusiastic volunteers to help us plan and run a whole range of fundraising events. You may just want to help with specific events. 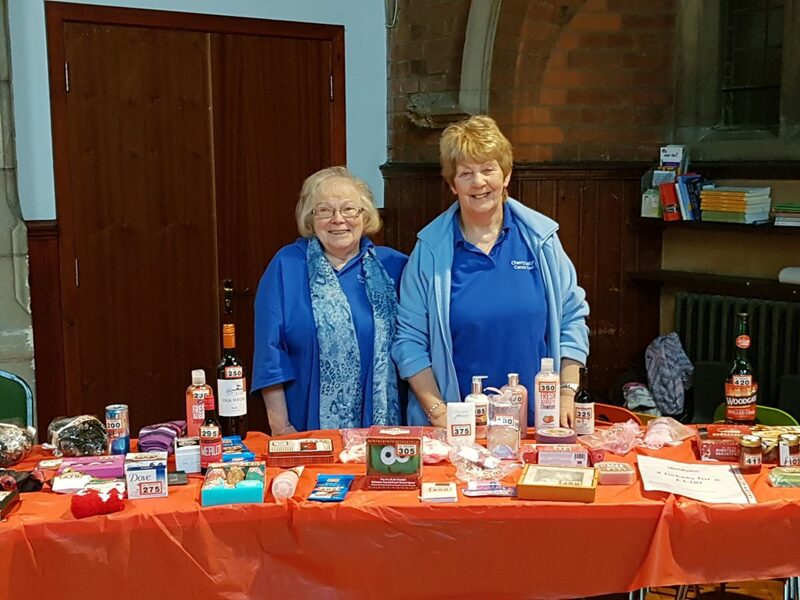 Or, if you are able to make a regular commitment, you might like to become a member of our Fundraising Team, who generally meet monthly and look after some of the day-to-day fundraising activities that are so necessary to keep Cherry Lodge going. Reception is a vitally important front line service. Volunteers staff our reception area five days a week. We ask our receptionists to offer one morning or afternoon per week. 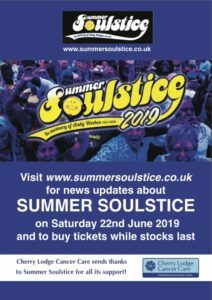 Duties include answering the telephone, welcoming visitors to the Centre and putting people at their ease, dealing with merchandise purchases, checking appointments and dealing with routine enquiries. Both our shops, in Barnet and Borehamwood, are run by a Manager with an Assistant Manager, who are paid members of staff. However, we also need the help of volunteer shop assistants, who must be able to offer us at least one half day a week on a regular basis. Being a member of our Board of Trustees means that you can help influence and shape the future direction of the charity. Meetings are generally held in the evening at the Centre ten times per year. If you have expertise in finance, business administration, law, fundraising, grant making, media, art and design, IT or healthcare, we may be able to put your skills to good use.